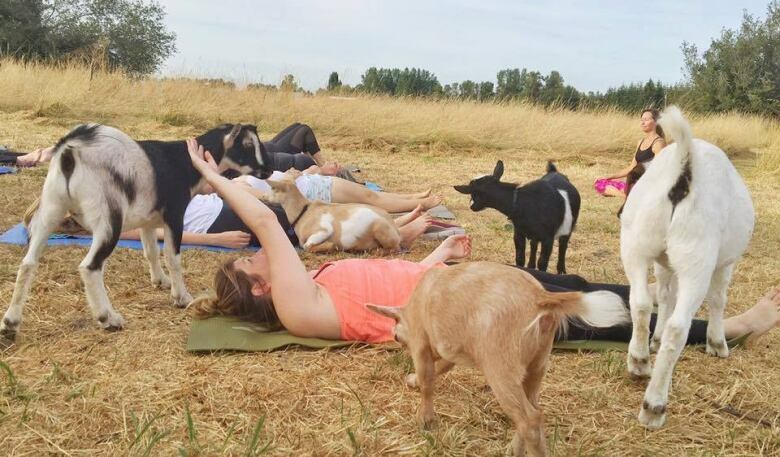 People are heading to a farm in Albany, Ore., because they can experience peace and relaxation there, while doing yoga with goats. As It Happens host Carol Off speaks with Lainey Morse, owner of No Regrets Farm. People are flocking to a farm in Albany, Ore., for a bit of peace and relaxation. 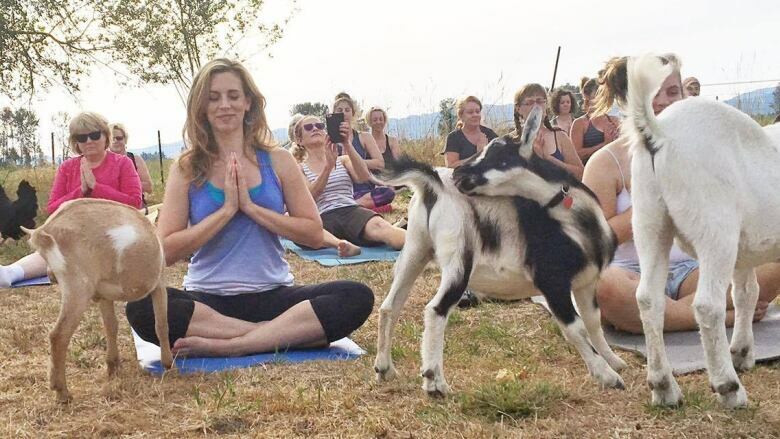 That's because they can do yoga there with goats. The idea was helmed by Lainey Morse, the owner of No Regrets Farm and the founder of Goat Yoga. Morse says she came up with the idea after a yoga instructor suggested she hold yoga sessions at the farm. She soon incorporated the goats into the sessions because she saw how people reacted to the animals. 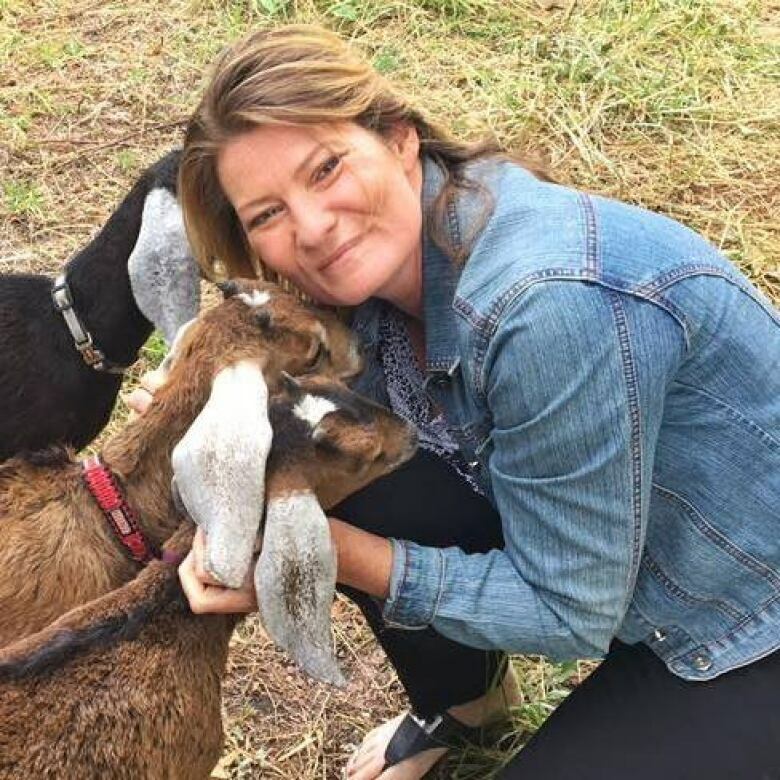 Morse says Goat Yoga has since received an overwhelming amount of attention, and there's currently a wait list of over 500 people hoping to attend a class. "People think it's awesome. They're just absolutely losing their minds," Morse says in an interview with As It Happens host Carol Off. "I know yoga is supposed to be very strict meditation and relaxation. But, I think the goats add a level of happy and fun to it." Morse, who was diagnosed with a chronic disease and got divorced last year, says the goats have helped her through tough times. "It was just the worst year. So, I would come home every day and sit out every day with the goats," she says. "Do you know how hard it is to be sad and depressed when there are baby goats jumping around?" Seeing what the goats did for her, Morse says she hopes her animals will help others as well. She says the animals' presence during yoga classes provide therapy for attendees. "Goats are very gentle to humans and it's very calming. Even when they chew their cud it's relaxing," she says. But, don't even think about bringing yoga mats with flowers on them. "Some people had little flower and leaf designs on their mats. And the goats thought that was something to eat, so they did try to eat that. I guess the new rule would be, only solid colour mats!" For more on this story, listen to our full interview with Lainey Morse.